ConnectWise Corporation is one of the world's leading technology solution provider. DeskDirector is integrated with ConnectWise to offer you even more! DeskDirector's DD Portal is a customer experience portal that offers a better alternative to ConnectWise customer portal. DD Portal was built with a strong focus on the UX/UI and perfectly synchronized with ConnectWise PSA to update your clients with fresh info to give the fastest support possible to your clients. Updating your clients with fresh info as fast as possible is one of the key elements of superb customer service. We have addressed this call by implementing smart caching system for our ticket timeline. Getting clients to log in to a new tool is often a challenge. With DD Portal, clients can use a one time token that gets emailed to them. With DD Portal for Windows, clients are automatically logged in using Active Directory integration. 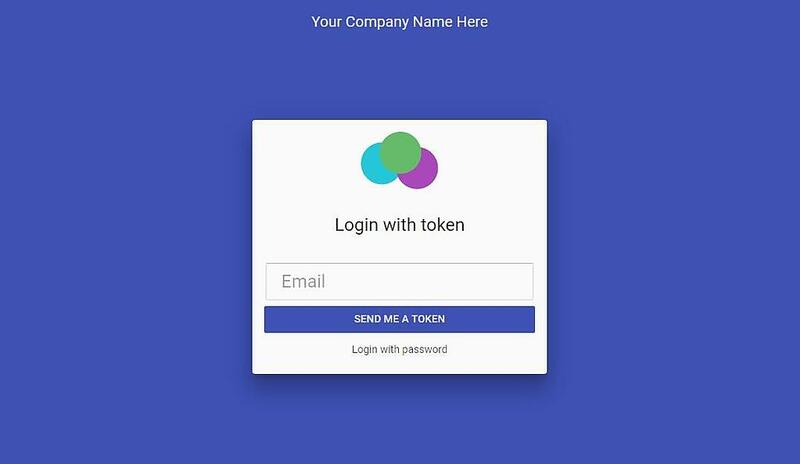 DD Portal can be branded with your name and logo, you can even customize panel colors to your company’s colors or customer’s taste. Creating tickets in DD Portal requires minimum effort from your clients. It is easy to navigate and provide as much info as needed upfront. Clients can easily create, review and update tickets. You can even provide them forms to complete, which ensures they provide you all the details you need to solve their problem efficiently. Avatars are a great way to personalize your services. 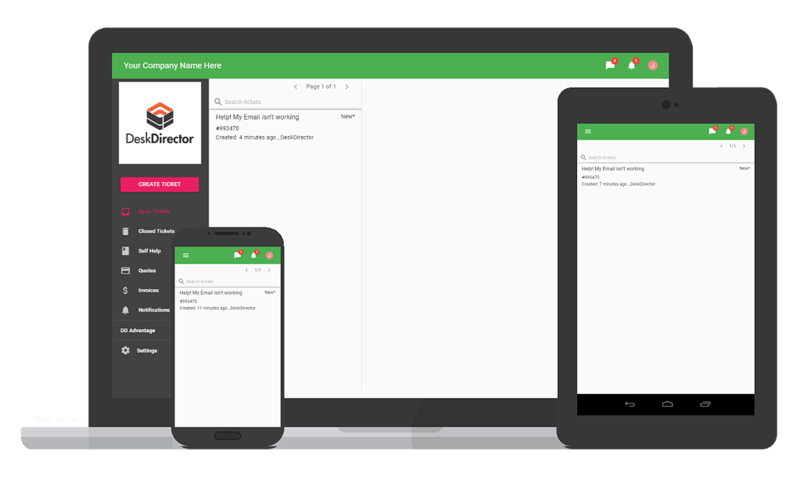 With DD Portal smart notification system you can notify your clients with ticket updates or companywide issues. Now everyone can be in the loop when things go wrong and be told when you've saved the day. Your customers can effortlessly view and approve quotes. 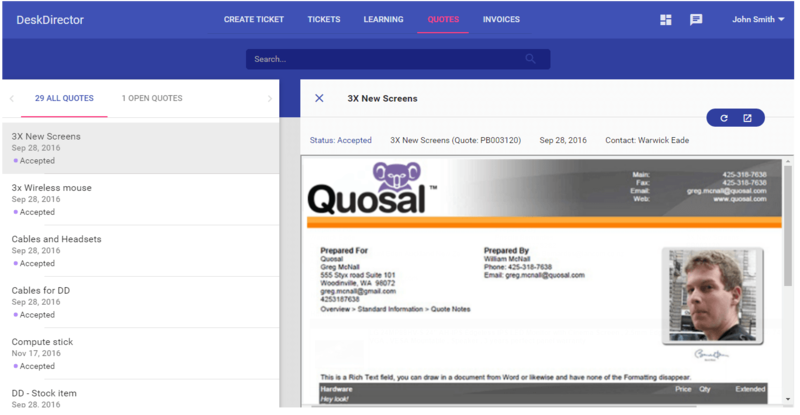 We support ConnectWise native and advanced Quote system: Quosal. As well as QuoteWerks integration. 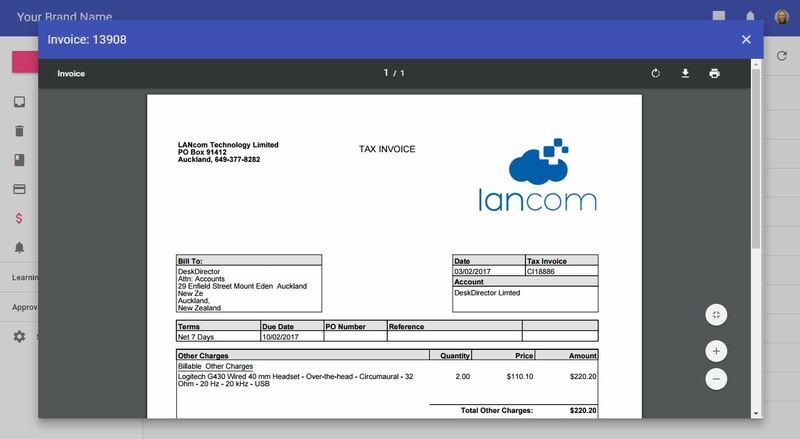 We support native ConnectWise invoice system, so it is easy for your clients to access ConnectWise invoices. We also support Connect Booster and Wise - Pay integrations.